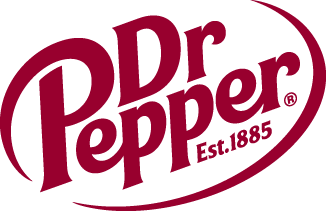 Gordon Jago Super Group Triple-Header Kicks Off 2019 Dr Pepper Dallas Cup | Dallas Cup, Inc.
DALLAS, Texas (Sunday, Apr. 14) – The 40th edition of the Dr Pepper Dallas Cup, the oldest and most prestigious international youth soccer tournament in the United States, got under way on Sunday from the historic Cotton Bowl Stadium. Due to inclement weather canceling additional games originally scheduled throughout the day, the tournament kicked off in style with a trio of Gordon Jago Super Group matches. The first game of the day kicked off at 12:30pm with a matchup between two first-place academy sides as FC Dallas and La Liga’s Villarreal CF were pitted against each other. 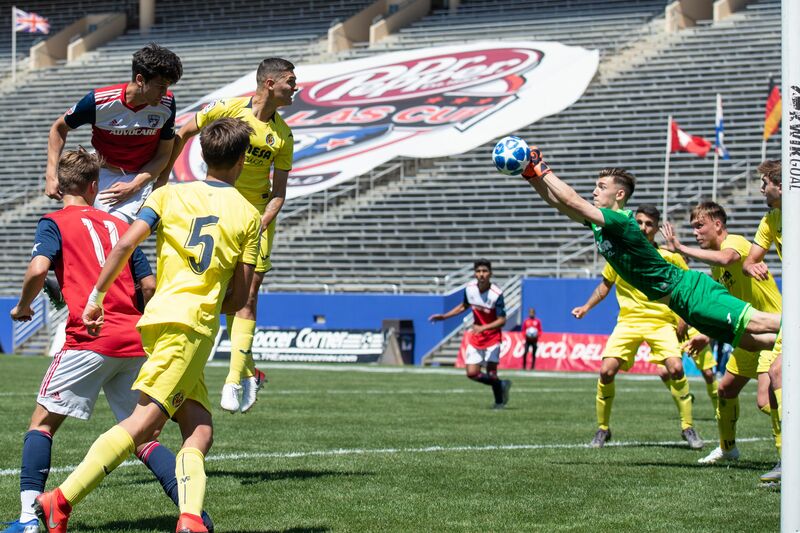 Making their Dallas Cup debut, Villarreal CF got the scoring started with an early goal from forward Jorge Galdon in the 5th minute. 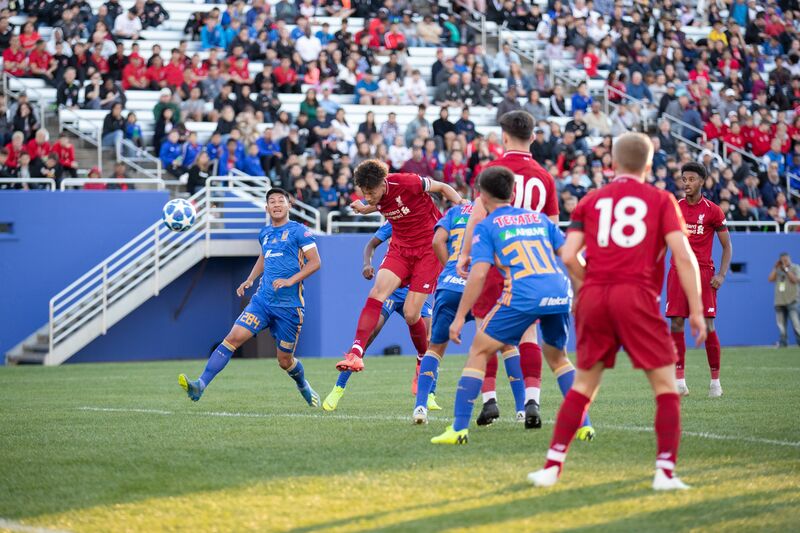 With the clock nearing towards halftime, FC Dallas leveled the match when Tanner Tessman connected on a shot from outside the box to level the score at 1-1 in the 44th minute. After halftime, the Spanish side once again came out of the locker room with a jolt. Thanks to some gorgeous team play breaking down the FC Dallas defense, the ball landed at the foot of Jorge Galdon, who bagged his second goal of the game in the 49th minute. The game remained 2-1 until the 90th minute when Villarreal was awarded a last minute penalty kick. Gonzaga Delage stepped up and tucked it away, making the score 3-1, securing The Yellow Submarine their first three points in Group C.
The second leg of the Gordon Jago Super Group triple-header started at 3:00pm with a Group B matchup between U18 Premier League leader Arsenal FC and Liga MX’s CF Monterrey. Rayados struck first in the 9th minute. Neder Hernandez collected a rebound in the box and was able to slot the ball to the far corner of the net to put the Mexican side in front 1-0. The Gunners leveled the match in the 17th minute with a Folarin Balogun goal from the penalty spot, which proved to be one of the lone bright spots for the English side. CF Monterrey, the club with the most Dallas Cup championships of all-time, showcased their skill on the ball as they dictated possession for most of the game. Eduardo Banda collected a brace, scoring two goals in the 29th and 52nd minute, as Rayados cruised to a comfortable 3-1 win against last year’s Super Group runner-up. 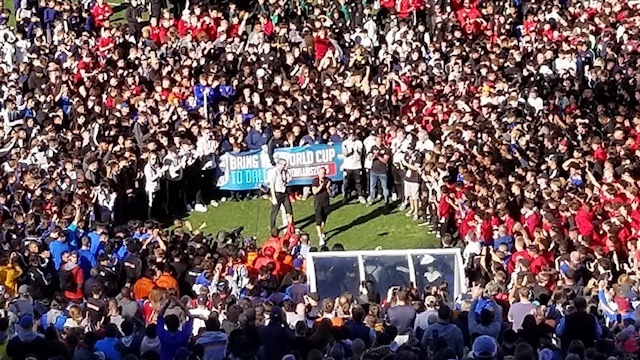 At 5:00pm, the Dallas Cup “Welcome World” Opening Ceremonies commenced featuring all 244 participating teams in the 2019 Dr Pepper Dallas Cup. North American soccer legends Luis “El Matador” Hernandez and Landon Donovan attended the ceremonies as guests of honor. Following the Opening Ceremonies, the marquee match of the day took place between the Premier League’s Liverpool FC and defending Gordon Jago Super Group Champion Tigres. In front of what was a Dallas Cup opening day record attendance (Event attendance: 20,940), both teams took the Cotton Bowl field on a pristine spring evening in Dallas. Tigres’ Sergio Trevino opened up the scoring with a goal in the 15th minute. Trevino’s shot clipped the cross-bar, bounced down, and just narrowly crossed the goal line, but it was enough to put Tigres in front 1-0. Minutes later, Liverpool’s striker Bobby Duncan cut inside the box and connected on a beautiful, left-footed strike to level the game at 1-1 in the 21st minute. In the 34th minute, the Red’s captain Rhys Williams tacked on a goal of his own and Liverpool took a 2-1 lead into halftime. The three-time Super Group champion, Tigres, came out of the break firing, however. Patrick Ogama tied the match with a penalty kick in the 50th minute before Stephen Rivas added another goal in the 56th minute pushing the Mexican side back in front 3-2. In the 90th minute, Sergio Trevino scored his second goal of the game to make the score 4-2, securing the win for Tigres. Trevino was awarded the Toyota MVP award following the game. Additional games will be played free-of-charge at the Classic League Complex at Richland College and MoneyGram Soccer Park. Visit www.dallascup.com to find out the full tournament schedule or download the official Dallas Cup app on your smart phone. Stay up to date with the tournament by following Dallas Cup on Twitter: @dallascup.